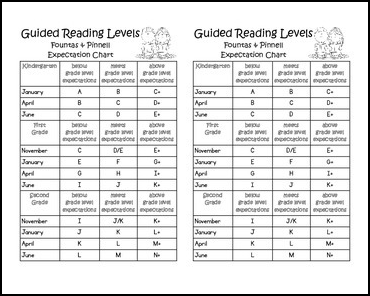 The Best of Teacher Entrepreneurs: FREE LANGUAGE ARTS LESSON - “Reading Level Expectation Chart"
FREE LANGUAGE ARTS LESSON - “Reading Level Expectation Chart"
This handy chart is a great visual aid for parents to see the guided reading level expectations of children in grades K through 2. The expectations are listed for various parts of the school year. 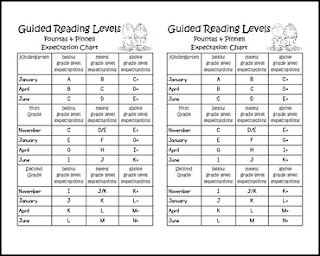 It is a great chart to give out during Parent/Teacher conferences.